Details on the new Bridgeport Indoor Sports and Recreation Complex isn’t the only big news that will be part of Monday’s Bridgeport City Council meeting. On the official agenda for the session, it lists an agenda item that could have the city taking ownership of a pristine piece of property right along U.S. Route 50. Council will consider an ordinance to purchase 2.734 acres on Main Street. For those wondering where that type of acreage exists, it’s been for sale for some time. The property in question is the Towne House (East) Motor Lodge. The property is situated beside the Twin Oaks Supper Club and has been in the city for decades. It covers 2.734 acres. The discussion and vote on the matter will take place after the start of the 7 p.m. meeting. The meeting, due to the presentation on the Rec Complex, will be held at the Bridgeport Conference Center with a work session beginning at 6:30 p.m.
“This goes back to the discussion Council recently had related to the need for perhaps new space for the city’s fire and police departments,” said Mayor Andy Lang. 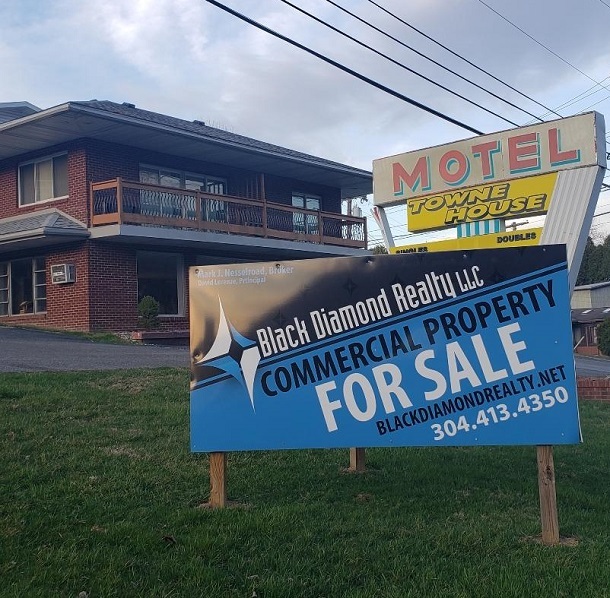 “There was an opportunity to buy property on Main Street, close our facility that’s large enough to do something that we believe can be acquired at a reasonable price. What is definite is what will happen if the city acquires the property. He said the building will be demolished to set the stage for a future public use by Bridgeport. Lang also said an appraisal has been done and an asbestos study as well so there will be no surprises as far as cost and additional costs. Lang said the city did do due diligence and looked at the former Tom Davis property as well. He said the concern with what he called a great piece of property is that it offers a ton of frontage and not as much depth, which may be better suited for a non-government related entity. Another action item involves potentially approving a contract with Sports Facilities Management, LLC. The company has already done budgeting and other projections relating to the Bridgeport Indoor Sports and Recreation Complex. Lang said if approved SFM would set up things from the installation of swipe cards and admission, to proper marketing, equipment acquisition and more. The meeting will also include several other actions, many of which won’t come with the same type of financial impact. However, a few of the other agenda items will likely draw more attendance. Lang will be presenting several proclamations during the meeting. The Bridgeport Middle School wrestling team will be recognized, as will the state champion Bridgeport High School boys swim team. Individuals from the girls’ swim team and the BHS wrestling team will also be recognized during the meeting. In other official business, Council will look to approve the city’s $16 million-plus 2019-20 fiscal year budget as well as the coal severance tax fund budget. The city’s governing body will be asked to approve a contract with Findley Excavation for sidewalk replacement at the Benedum Civic Center for $11,189. The meeting will include a mayor’s report by Lang as well as a report by City Manager Kim Haws. There will also be a public forum for anyone wishing to address Council.